Home > All Greek to you? > all greek to you > Athens Marriott: The hottest destination! Athens welcomes Athens Marriot at the hub of the city, at the beginning of the Athens Riveria, offering a 3D view of the Acropolis , Lycabettus hill and the unique coastal scenery from Piraeus to Vouliagmeni. 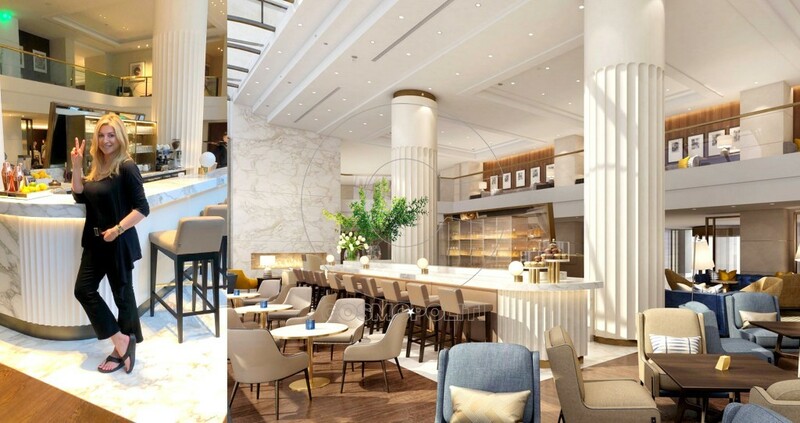 The historic Metropolitan Hotel of the Chandris chain of hotels, after four months of intensive renovation is re-established today as a brand-new design hotel of Wimberly interiors. A building of unique and extraordinary aesthetics. Ultra-modern rooms furnished with natural materials such as wood and marble are combined to create state of the art facilities and restaurants – all in places where the light acts as a life-giving catalyst. The reception hosts a permanent collection of modern art which blends in perfectly with the modern vibe of the Greek capital. Greek hospitality and attention to detail which are the main characteristics of the Chandris brand name are paired impeccably with the quality and unique cosmopolitan hospitality of Marriott Hotels which promise an unforgettable stay. On the roof top a brand new E&O restaurant is opening around the pool. And “Made in Athens” the hotels restaurant claims one of the best brunches in Greece..